Olivia Kimball Commits to Rensselaer Polytechnic Institute! 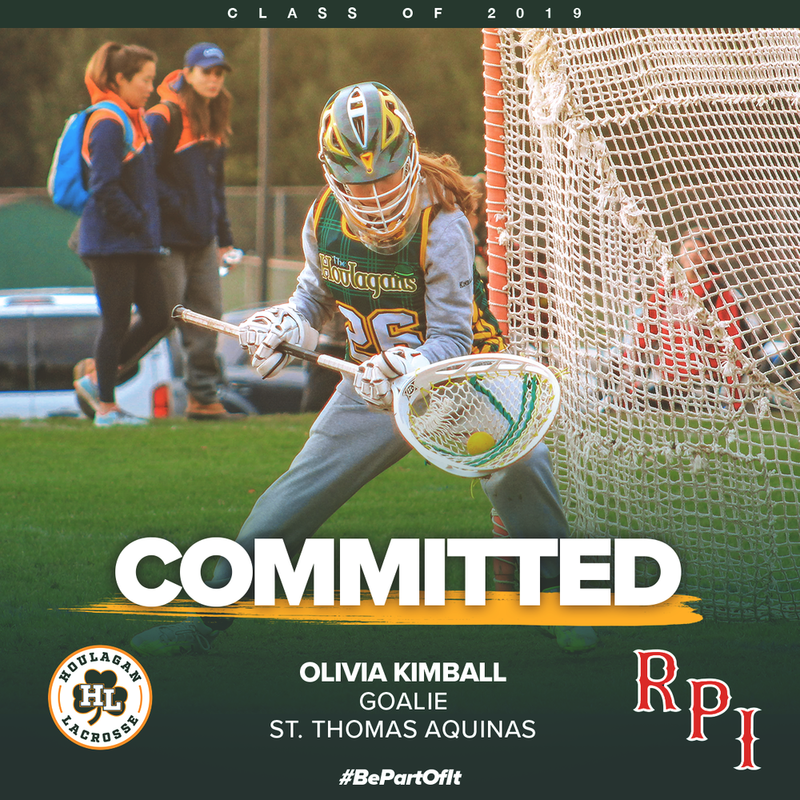 Golaie Olivia Kimball, of St. Thomas Aquinas High School, recently announced her commitment to study and play lacrosse at Rensselaer Polytechnic Institute. Founded in 1824, Rensselaer is the oldest technological research university in the English-speaking world. As it approaches its bicentennial anniversary, the Institute continues to define The New Polytechnic, a new paradigm for teaching, learning, and research that uses advanced technologies to enable fresh collaborations across disciplines. Claudia Scigliano commits to Framingham State!